IDGA's Joint Force Integration and Projection Summit provides the premier platform for military services to come together and address new requirements, best practices and the way forward for countering threats across a range of environments (A2/AD, close air support, etc). 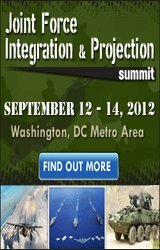 Visit the website at http://www.JointForceSummit.com for full information. In keeping with the recent increased military robotics use, IFSA is proud to team up with IDGA for its Military Robotics Summit, the premier platform to learn about creating and maintaining interoperable, integrated robotics systems. For full information, please view the Program Agenda. What are some of the summit’s key sessions? Dull, Dirty and Dangerous Jobs: Why Ground & Water Robots Are Important Now What tasks can robots complete for humans? Dr. Bill Powers, USMC Warfighting Lab explores funding and training aspects of development and autonomy's growing importance. Robots: Working to Meet the Needs of Today’s Soldier Dr. Naomi Zirkind, US Army Armament Research, Development and Engineering Center details the R&D, capabilities and requirements of Explosive Ordnance Disposal robots. Autonomous Robots: The Future of Robotics What is the DoD’s vision for robotics? Michael Edwards, II Marine Expeditionary Force discusses revitalizing amphibious proficiency, seabasing and developing an improved Cargo UAS that can operate from the sea. Lastly, as an IFSA reader you are eligible for 20 % off standard pricing, so sign up today for access to the robotics community's top minds. 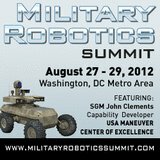 To register and learn more, please visit www.MilitaryRoboticsSummit.com or contact IDGA at info@idga.org or 1-800-882-8684. 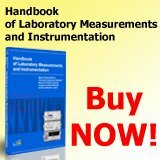 Use promo code IFSA_MR to receive this deal. Thanks, and hope to see you this August in Washington, DC ! PS: Need approval first? Download our 'Convince your Boss' letter which highlights the main benefits and features of the conference. It's in the Online Resource Library which features more exclusive content including the Robotics Summit Series Attendee Snapshot. “MEMS will continue to see steady, sustainable double digit growth for the next six years” says Yole Développement. 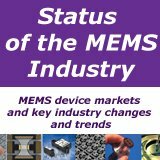 Based on 20 years’ experience in MEMS market analysis, Yole Développement analysts present the 2012 edition of “Status of the MEMS Industry” (“MIS”), including MEMS device markets, key players strategies, key industry changes and trends and MEMS financial analysis. It also includes major MEMS manufacturing evolutions as well as an update on the “emerging” MEMS devices markets. 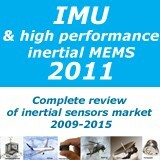 «MEMS will continue to see steady, sustainable double digit growth for the next six years, with 20 % compound average annual growth in units and 13 % growth in revenues, to become a $21 billion market by 2017”, announces Laurent Robin, Activity Leader, Inertial MEMS Devices & Technologies at Yole Développement. Yole Développement expects continued strong growth in motion sensing and microfluidics as those sectors will increasingly come to dominate the MEMS market totals, making up almost half of the overall market in 2017, with accelerometers, gyroscopes, magnetometers and combos accounting for about 25% of the total, and microfluidics for 23 %. 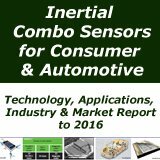 To better track important developments in inertial, Yole Développement has broken out a separate category for combo sensors in our market data and forecasts this year. According to Yole Développement, the market for discrete inertial sensors will begin to decline, but the growth for inertial combo solutions will be huge. Though currently less than $100 million niche, we expect combos to be a $1.7 billion opportunity by 2017. 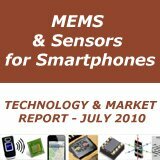 Almost all MEMS players had a growth in sales in 2011 compared to 2010. Companies involved in inertial sensors and microphones are growing the most. In MIS 2012, Yole Développement analyzes the different MEMS players’ business model. A focus is made on STMicroeletronics and Bosch case studies. STMicroeletronics is currently becoming a leader in the MEMS market, hardly challenged by Robert Bosch. STMicroeletronics has been able to diversify its MEMS offer with a wide range of MEMS devices and 90 % of its IDM business done with 2 devices only (accelerometers, gyroscopes). It has anticipated the growth with early investment in high-volume manufacturing infrastructure with a 8’’ production line. Today, STMicroeletronics has entered into diverse partnerships to speed time to market and enlarge product offering. On the other hand, Bosch benefits from the fab infrastructure primarily dedicated to automotive applications to decrease price. New MEMS devices are coming with CAGR > 90% for some of them ! Every year brings new business in the MEMS landscape. 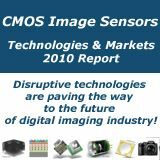 Today, combo sensors are reshuffling the cards in the competitive landscape. 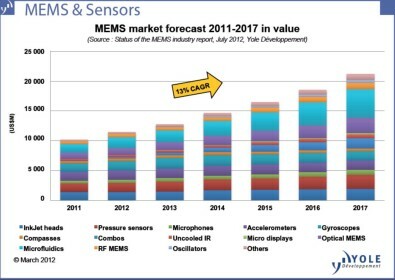 But the MEMS market is still very fragmented, with a number of high volume MEMS applications still limited today. However, a whole range of new MEMS devices now reaches the market and new “emerging MEMS” devices are coming as well. Some of them have the possibility to ramp up to large volumes quickly: especially those that can be applied to mobile devices (RF MEMS switches, oscillators, auto-focus…). 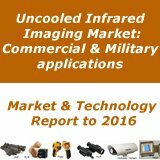 In addition to those emerging MEMS, growth of the MEMS market will also come from existing sensors that are expanding into new market spaces, sometimes using new types of integration (e.g. pressure sensors). In 2011, both the number and values of MEMS transactions have boomed. 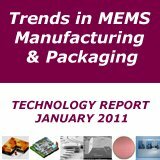 A total of $1.7B MEMS acquisition value has been realized in 2011. Early stage MEMS companies are acquired at high prices (e.g. SensorDynamics, Pixtronics…) because there are a limited number of candidates which are private and have a solid technology, which make them increasingly attractive given the expansion of the MEMS market and the willingness of many large companies to enter this area. Dr. Eric Mounier, has a PhD in microelectronics from the INP Grenoble. Since 1998 he is a co-founder of Yole Développement, a market research company based in France. He is in charge of market analysis for MEMS, equipment & material. He is Chief Editor of Micronews, and MEMS’Trends magazines (Magazine on MEMS Technologies & Markets).